One immediately realizes Apple computers are very artsy, and why they’re loved by designers and such. Instead of showing BSODs, they start making abstract art. Oddly enough, this began happening to me yesterday. I did something like that, only it was in black and white and ascii, when learning to program in Turbo Pascal on an IBM PCjr. well, hiding say 128bytes demo’ish effect in your driver can definitely improve the BSOD experience. 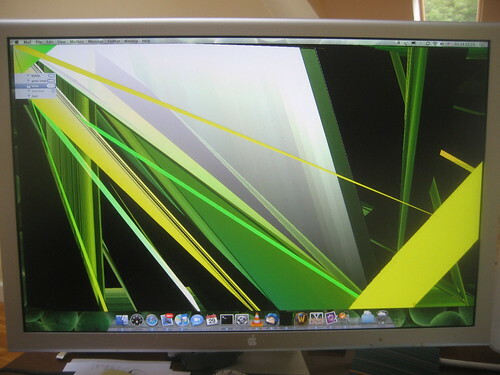 Even Apple’s kernal panic is prettier than Windoze’s BSOD.